Snowy mespilus is originally from Eastern North America. From there it was introduced in Europe. It is a fruit of very cold regions. It bears edible fruits that taste like apple. 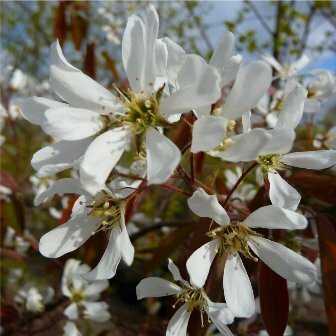 But still snowy mespilus is planted in gardens as an ornamental plant. The fruits are therefore a by product. 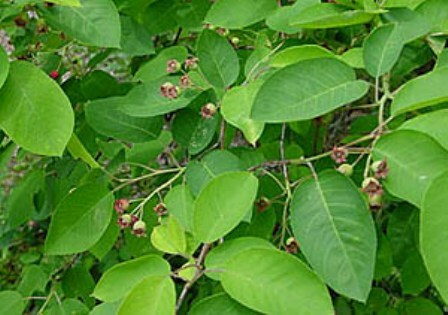 A large erect deciduous shrub or small tree of open habit. Leaves tomentose lanuginous when young very young, glabrous when mature; ovate elliptical, or oblong, sometimes cordate at the base, often slightly acuminate mucronate, turning orange and red in autumn. Flowers white flowers, star shaped, borne in short lax racemes, calyx triangular-lanceolate, about the length of the tube. Fruit a pome, globular, upto 10 mm wide, red to dark purple-black, edible, sweet and sour. Snowy mespilus fruits are edible and can be eaten raw. These are reported to be rich in iron and copper. They taste somewhat like apple. They are also added to muffins and pies. They also make an attractive garnish to cheesecakes and ice-creams. The fruits can also be dried for use later in winter. 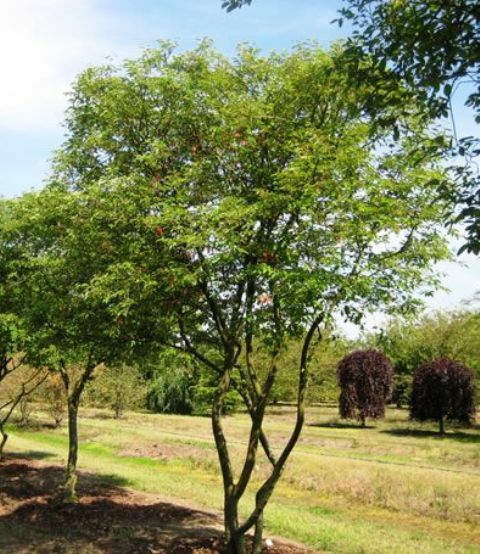 Snowy mespilus canbe grown as a small specimen tree in the lawn, or would add spring and summer interest to a mixed border. It is best to plant in fertile, well-drained soil in sun or partial shade. 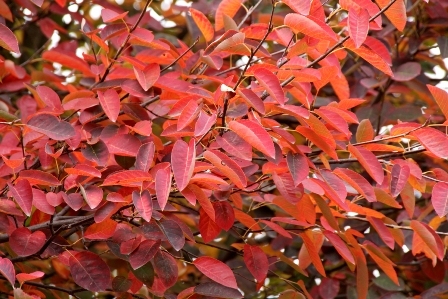 But the best autumn colour is obtained when the plant has been getting full sunlight. 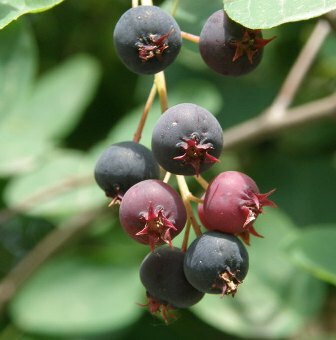 New plants of this fruit can be raised from seed or semi-hardwood cuttings. CultivationGrow in moist, lime free, well-drained soil. The best autumn colour is achieved when grown in full sun.